If you could have a job where you could travel the world and still earn a good living, you’d take it wouldn’t you? That is exactly what’s happening for a group of people who call themselves ‘Digital Nomads’. If you’ve got an entrepreneurial spirit and want the freedom of being to able to work where you want for who you want, then you could find yourself in your dream career. Thanks to the growing suite of tech and tools available at your fingertips, your mobile office could take you to wherever you want to go. The freelance way of working has been growing for a number of years as more and more people look to set their own career paths and take a bigger share of the profits. However, to make freelance work for you, you need to be driven and be prepared to be active in looking for clients. Many people who are digital nomads work in online marketing, blogging, web design and other digitally-focused roles, but there are other types of roles that are suited to this way of working. Luckily, whether you stay in one place or you move around – the internet can be a great place to find some clients and pick up work. There are a tonne of great websites for finding freelance work, including Upwork, Fiverr and SolidGigs. With some good clients behind you, you’ll be able to feel confident that you’ll be earning while traveling and dive into the lifestyle head first. Taking care of your finances is one of the least enjoyable parts of managing your own business, but as you’ll most likely still be liable to pay taxes on your income, it’s something you need to do. Managing your accounts in the cloud using the right accounting software can make this a breeze, and can help you keep your accounts in good shape for your accountant back home too. You won’t have to worry about holding onto paperwork or receipts, you can simply upload and go Keep an eye on your finances in real-time to help you keep track of your income and outgoings. The beauty of the digital nomad lifestyle is that to your clients and your working world, nobody will know whether you’re working from a beach in Bali or sat in a coffee shop around the corner from your home. Maintaining a professional front is key to retaining business, and fortunately, there are some great tools to help you with this. A physical address service gives your mail somewhere to go so that you don’t have to miss out on your important correspondence. Meanwhile, a telephone answering service can also be a valuable tool for your business if you handle a lot of phone calls. Keep things running smoothly in the background to help ensure your business remains a success. Thanks to the latest technology, you don’t have to worry about how you’re going to communicate with clients and co-workers. Video collaboration can be a great time-saver and ensures that important face to face contact. 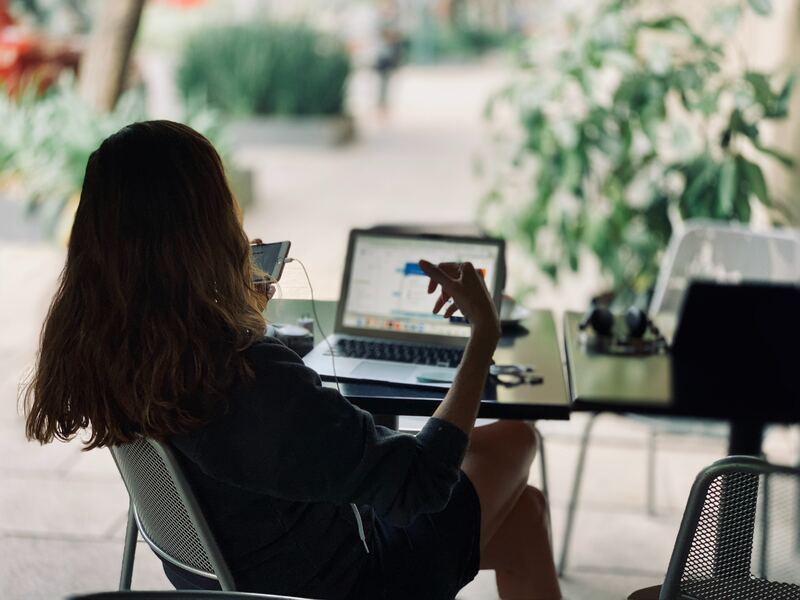 Having a suite of tools you can take with you on your laptop will ensure seamless business communications and make collaborative working much simpler. The issue with working for yourself is that there’s nobody really breathing down your next to make sure you’re hitting your deadlines and getting things done. When you’re traveling at the same time, the problem becomes even worse as you work to find the balance between work and play. Using productivity apps can be an excellent way to help you keep your focus and make sure you stay on task with your works. From putting in deadlines to auto updates for your clients – the right productivity tools will make managing your workload on the move a breeze. Sync yours across your devices so you can pick up your work wherever you are. The beauty of the digital nomad lifestyle is that you can build a great career for yourself without having to sacrifice your lifestyle or travel. Travel will help you build some great experience that can help you enjoy a fantastic work/life balance and a career to be proud of. The tech and tools there for you to use, so why not take advantage of it?